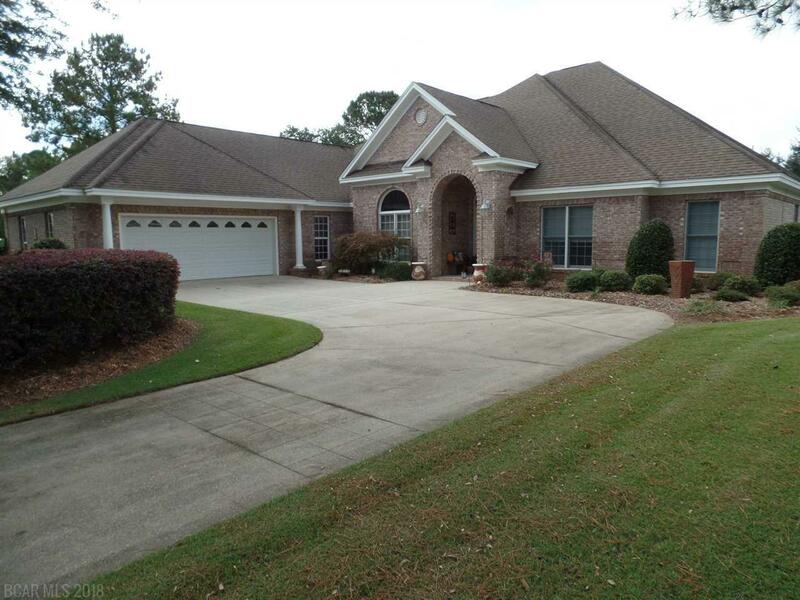 3672 Prestwick Cir Gulf Shores, AL. | MLS# 276338 | Avast Realty LLC | 205-951-8992 | Your Ultimate Resource in Real Estate. Let's guide YOU home! This custom built home has a fabulous outdoor entertainment area that over looks the 14th green and lake of the Cypress Bend golf course and features a 29 x 22 gunite pool with spa and two water falls from the adjacent stone wall. For convenience there is also a half bath & an out door shower adjacent to the pool area. It does not stop there the out door kitchen has a Luxor gas BBQ grill, two Luxor side burners, a Viking Convection Smoker oven, a beverage refrigerator, and a sink. As you enter the home the entry to your left, the living room in front of you and the entry all have 12&apos; ceilings with oversize baseboards and crown molding. The remainder of the home has 9&apos; ceilings and crown molding. There are 64 canned lights distributed throughout the home. The kitchen has a ton of cabinets and the majority of the lower cabinets have pull out drawers. Appliances include: French Door style refrig, new in 2014); electric cook top (can be switched to gas), dishwasher, & wall oven and Microwave. The kitchen is open to the family room that hosts a built-in entertainment center. The master suite has a huge huge custom built walk-in closet, a beautiful remodeled bath with real marble vanity tops, jetted tub, and tiled shower with rain shower head, body jets and and a hand shower. Each bedroom has private access to a bath. Water for the irrigation system is provided by well. The garage drive through garage is 35&apos; x 24&apos; with a separate door for your golf cart. Pull down stairs to the lighted, floored attic over the garage.